We use those different names for these tropical storms in different places. In the Atlantic and North-East Pacific, the term “hurricane” is used. 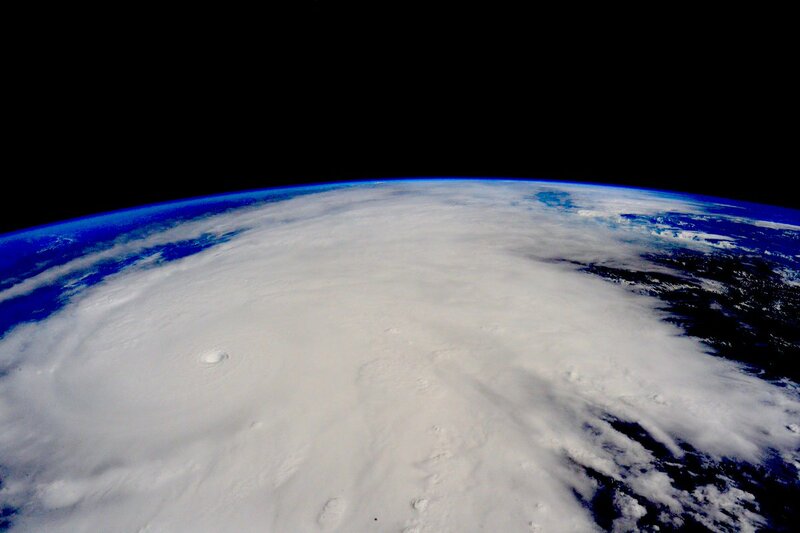 Image of Hurricane Patricia tweeted by astronaut Scott Kelly. In the North-West Pacific a tropical storm is called a “typhoon”, and “cyclones” occur in the South Pacific and Indian Ocean. Three strong tropical storms (Kilo, Ignacio, and Jimena), formed in the Pacific in 2015. On Sunday 30th August, all of them were a category 4. This was the first time the north-eastern Pacific had seen three category 4 hurricanes at the same time. Tropical storms can’t form outside the tropics - water temperatures are too cold. Sea surface temperature must be at least 27°C, and this temperature is actually required to a depth of at least 50 m.
The warm tropical atmosphere heats up the water at the ocean surface and begins to evaporate it. The trapped water vapour in the air rises up through the atmosphere. When the rising air cools, and the water vapour condenses into liquid water, the heat is released back into the atmosphere. The warm air rushes upward, because it has a lower density than its surroundings. This then draws air up from below, and speeds up the rising air near the surface. Surface air around the growing disturbance rushes in to replace it. A satellite image from the National Oceanographic and Atmospheric Administration shows Hurricane Katrina bearing down on the Gulf Coast on Aug. 28, 2005. As this cycle continues, more warm, moist air is drawn into the developing storm, and more heat is transferred from the surface of the ocean to the atmosphere. This continuing heat exchange creates a wind pattern that spirals around a relatively calm centre, or eye, like water swirling down a drain. The US National Hurricane Center gives regular information about hurricanes. Cyclone Center is a project involving volunteers working with scientists to learn more about cyclones. The effect of climate change on tropical storms remains largely unresolved, but is under scrutiny. Based on process understanding and agreement in 21st century projections, it is likely that the global frequency of occurrence of tropical cyclones will either decrease or remain essentially unchanged, concurrent with a likely increase in both global mean tropical cyclone maximum wind speed and precipitation rates. 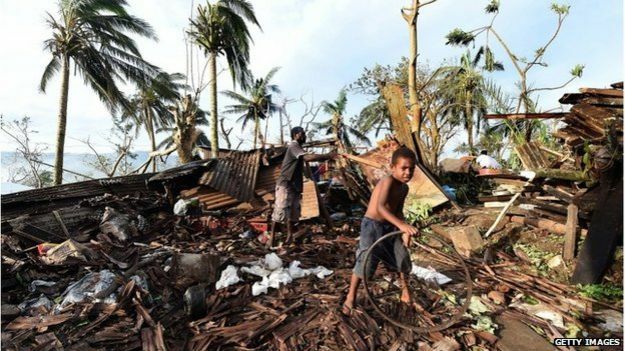 Severe Tropical Cyclone Pam hit Vanuatu on March 13, 2015. Wind gusted up to 320 kilometers (200 miles) an hour, causing widespread damage in the archipelago nation in the South Pacific Ocean.